The British Franchise Exhibition, incorporating the Growing Your Own Business Exhibition & Conference is open from 10am each day, closing at 5pm on Friday 27th January and 4pm on Saturday 28th January. Callers to the hotline (0870 777 1082) can purchase tickets by credit card for £8 each or £7 each for two or more. Admission on the day is £10. The British Franchise Exhibition features over 100 companies from a vast range of business sectors, from management consultancy and recruitment to food & drink, health & fitness, cleaning companies and confectionery. The range of franchises available gives visitors the opportunity to find the perfect franchise that is the ideal match for their interests. Visitors will also have the opportunity to meet face-to-face with inspirational franchisees in order to gain a real, clear insight into the potential demands and rewards of running a successful franchise as part of an established brand. A series of highly informative free seminars are being run by the British Franchise Association (BFA) across both days for everyone looking to find out more about becoming a franchisee or franchisor. There are also experts available to give advice on every issue you may wish to discuss, from raising finance to legal contracts. 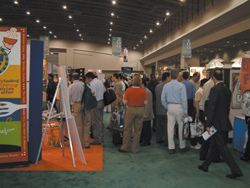 The event will also include an Exhibitor Presentation Theatre, a highly interactive and valuable element of the show. This is the perfect place for visitors to learn about franchises, by listening to the founders of leading companies and learn about their inspirations, ideas and concepts. With a variety of insightful presentations each day, this is the ideal arena for prospective franchisees to get a feel for the diversity of opportunities available at the show. Incorporated within The British Franchise Exhibition, The Growing Your Own Business Exhibition & Conference is a superb opportunity for small business owners to find out how to expand their business. The event provides SMEs with a comprehensive showcase of all the business advice and assistance needed under one roof, including free seminars focused on key issues and stages related to developing a business. 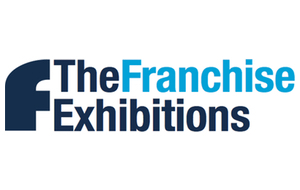 The British Franchise Exhibition is supported by the BFA, the Daily Mail, Business Franchise and Franchise World. All exhibitors are accredited by the BFA and thus adhere to the BFA's code of conduct.